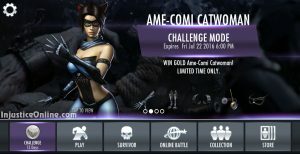 The long awaited Ame-Comi Catwoman single player challenge for Injustice Mobile has finally arrived. Fans of the character have been patiently waiting ever since the announcement that this version of Catwoman was included in the game. 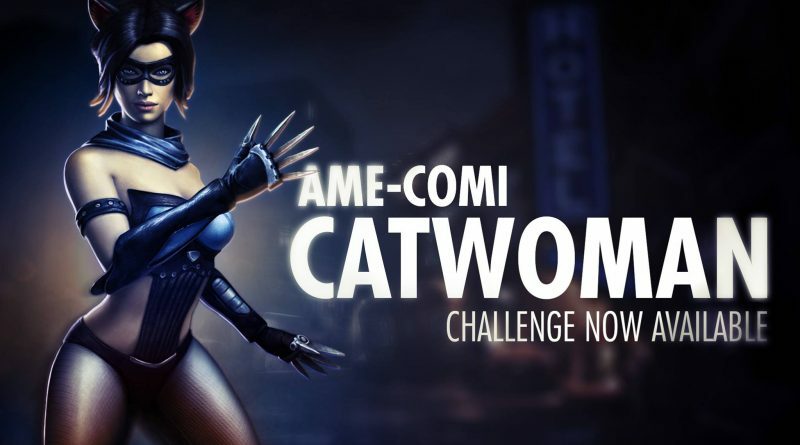 The challenge was however pushed back due to the announcement of Injustice 2 and the two Injustice 2 characters that appeared for Injustice Mobile. 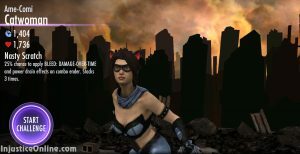 Ame-Comi Catwoman has the unique ability of a 25% chance to apply BLEED: DAMAGE OVER TIME and power drain effects on combo ender. Stacks up to 3 times. 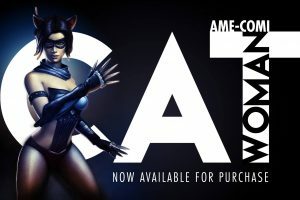 Ame-Comi Catwoman is based on the DC Comics comic book series of the same name and is the first Ame-Comi character to come to Injustice Mobile. To beat this challenge you must have Bane, The Joker and Killer Frost in your collection. Bane and The Joker shouldn’t be a problem, as there are Silver versions of the two characters. 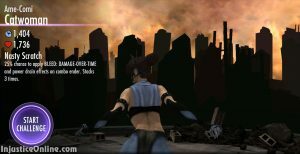 Killer Frost might be a lot more trickier, as there is only a gold version of the character. There is good news though and that’s the Ice Breaker Pack, that offers Killer Frost, Killer Frost Regime and Luchador Bane for 480 000 power credits. An alternative for you would be to buy your way out of the entire Challenge 5 battles.